DWI (Driving While Intoxicated) offenses carry strict penalties and can result in criminal charges. From misdemeanor offenses to felonies, financial penalties, as well as jail time, are all potential punishments. Misdemeanor DWI offenses can carry penalties of 1 year in jail and mandatory fines of up to $2,500. Felony DWI offenses, which are much more serious by nature, can carry penalties of 7 years in prison and mandatory fines of up to $10,000. In addition to this, a DWI conviction can remain on your record for 4, 5, 10, or 25 years and in some cases for your entire lifetime depending on the severity of the charge and court finding. It is important to remember you have rights and options available to you. In fact, you want the best representation to defend you against driving while intoxicated (DWI) charges, especially when you hire an experienced DWI lawyer. Michael H. Ricca represents people facing misdemeanor and felony charges for driving while intoxicated (DWI), aggravated driving while intoxicated (A-DWI), driving while ability impaired (DWAI), and much more. Stopping for a beer after work does not necessarily mean you can be charged with a DWI offense. Being charged with a DWI is governed by specific guidelines. For those under 21 years of age, which is the legal drinking age in New York State, having a blood alcohol concentration (BAC) of 0.02 percent will warrant a DWI charge. For those who are 21 years or older, a BAC of 0.08 percent will bring a DWI charge. Commercially licensed drivers, however, have a stricter code due to the damages such a large vehicle can cause. Operators of commercial vehicles with a BAC of 0.04 percent can be charged with a DWI. 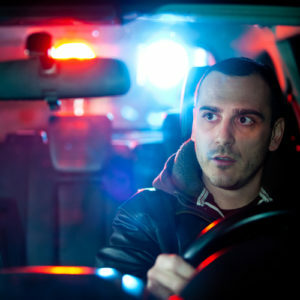 If you have been ticketed for a DWI offense, you are facing serious consequences. From license suspensions, license revocations and fines to prison sentences, a DWI goes beyond the standard traffic ticket. The increased dangers that arise when an individual decides to operate a motor vehicle while intoxicated or impaired can be devastating. Often, it is not only law enforcement that looks down on a DWI offense. In fact, a DWI conviction can change how your loved ones and community view you too. This can mean even more serious consequences years down the road should you make a similar mistake even decades later. – How Can I Be Charged with a DWI? Driving after you have stopped to have a beer after work does not necessarily mean you will be charged with a DWI should you be pulled over. However, if that beer takes you over the legally allowed BAC limit, or significantly appears to impair your driving, you can be charged with a DWI. In addition to your BAC, there are several factors that can affect the outcome of any DWI charges you have received. Your age is one of these factors, as is your previous record. The type of vehicle you were driving, as well as the kind of license you have, is another. Impairments that are related to alcohol, drugs, or a combination of the two also come with varying consequences. Refusal to submit to a chemical test can also impact a potential conviction sentence. Whether children were present, anyone was injured, or property damage occurred are also factors. In addition to jail time and mandatory fines, a DWI charge can subject you to a potential administrative license suspension. An administrative license suspension is generally considered a civil penalty and is not necessarily related to any criminal punishments for committing DWI. Even if you are not subsequently charged with, or convicted of, a DWI in New York, you can still receive an administrative license revocation or suspension. This occurs through a revocation hearing conducted by the Department of Motor Vehicles and not through a criminal court. In fact, the Department of Motor Vehicles revocation hearing is distinct from any criminal proceedings or penalties that may later arise from DWI charges. For many first time offenders over the age of 21 with a BAC of 0.08% to 0.18%, administrative license suspensions of 6 months to a year are common. For those who are under 21 or who have a BAC of 0.18% or greater, a suspension will like start at a year. New York has an “implied consent” law that applies to all those who carry a state-issued license. Because of this law, refusal to consent to chemical testing for alcohol will likely mean an administrative license suspension of at least 1 year should you be charged with a DWI. After an administrative license suspension, reinstatement of your license can be costly and time consuming. It will require payment of any reinstatement fees. It will also likely require the installation of an ignition interlock device for at least six months once your license has been reinstated to ensure you are continuing to abide by the law. The completion of an “Impaired Driver Program” is also required in some cases. SO YOU GOT A DWI – NOW WHAT? Most New York drivers are already paying too much for car insurance. Since DWI convictions are looked upon unfavorably by insurance companies, it is best to try and avoid having a DWI conviction on your license. Not only can a DWI cause your car insurance to go up, but it can potentially lead to them dropping you as a client. Should this occur, other car insurance companies may be less likely to insure you or may only do so through much higher rates. – Is It Possible to Beat A DWI? YES. There are many strategies that our firm utilizes to fight for our clients. As your Nassau County traffic lawyer, we carefully evaluate every aspect of your DWI charges. Because every situation is different, strategies may differ depending on the specific facts and circumstances of your case. Once we analyze your case, we will come up with the strategy that best fits your specific case. Being charged with a crime does not necessarily mean you are guilty. At the Law Offices of Michael H. Ricca P.C, we understand that. Our firm has the knowledge and experience to understand what it takes to obtain the best possible outcome for our clients. As your Nassau County traffic lawyer, Mr. Ricca does everything in his power to help you through your DWI case. 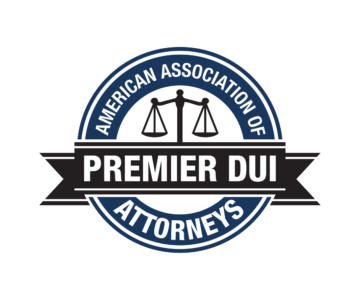 Mr. Ricca is a member of the American Association of Premier DWI Attorneys. He has years of experience with arguing, negotiating, and pleading cases. Depending on your specific case, and your personal goals, Mr. Ricca works with you to present the strongest case possible in your favor. DWI cases need more than just textbook knowledge. They take a personal passion, thorough understanding of the law, and years of experience. Mr. Ricca, as your Nassau County traffic lawyer, has all of this and much more to offer. His track record and reputation are a testament to this. From reduced charges to outright dismissals, Mr. Ricca can provide the best defense for a DWI case. It is critical to take immediate action to ensure you are protected from overzealous prosecutors. Being arrested for a DWI can be overwhelming. Depending on the evidence that was gathered, it may feel like a foregone conclusion that you will be subjected to hefty fines and jail time. On the other hand, you may feel that a first time offense will reduce the likelihood of serious charges or consequences. As an experienced traffic law firm, we have seen both situations take dramatically different routes. Your rights matter. The DWI process is complex. Not only can the prosecution intimidate you into taking a guilty plea, but they may also argue for the maximum punishment permitted by the law. Having an experienced and reputable Nassau County traffic lawyer on your side is vital. As your Nassau County traffic lawyer, Mr. Ricca can help to explain all parts of the process, strategy, or court findings should you have questions. He will also thoroughly review your DWI case and help you understand the realistic outcomes based on the evidence and facts. Because of this, it is important that you relay the facts and circumstances of the case as you understand them to Mr. Ricca during your free evaluation. If you have been arrested for a DWI, your first step should be to contact a lawyer as soon as you are able to. However, if you failed to do so, it may not be too late! Call us today for your free telephone consultation with an experienced Nassau Country traffic lawyer. I GOT A DWI – NOW I’M LOSING MY VEHICLE TO A CIVIL FORFEITURE PROCEEDING? Many jurisdictions in New York have a law in place that allows for the civil forfeiture of any vehicle used in the commission of drunk driving. Our firm has successfully defended many clients and helped them to retain possession of their vehicles, even in cases involving property damage and high blood alcohol concentrations. By contacting us today, we may be able to prevent the loss of your vehicle due to your DWI charges. Driving while intoxicated can be a serious criminal offense. Because of this, the consequences of being charged with a DWI can be severe. Potential penalties can range from expensive fines, jail time, and having your driver’s license suspended or revoked to losing your vehicle to a civil forfeiture. There are also potential long-lasting repercussions, like a negative impact on your current or future employment, which can cause financial instability. This can then lead to further enduring consequences, such as the loss of your home or bankruptcy filings. If you or a loved one are facing a DWI charge, The Law Office of Michael H. Ricca P.C. is here to fight for your rights and to guide you through the complex legal process, which can include penalties like jail time and civil forfeiture of your vehicle. We understand the long-term consequences of a DWI conviction. Our focus in each and every case is to protect the rights of our clients and minimize any long term consequences. Our firm understands that being charged with a DWI offense is not the same as being guilty. The Law Offices of Michael H. Ricca P.C. is here to defend your rights. We understand that one mistake should not define who you are or affect your driving privileges for the rest of your life. Our firm is committed to providing the highest quality legal representation and to obtaining the best possible outcomes for our clients. Put your trust in us and call today for your legal consultation.